As early as 1851, photographers journeyed along the arduous Santa Fe Trail on horseback and in covered wagons on a quest to capture the magnificent vistas on film. 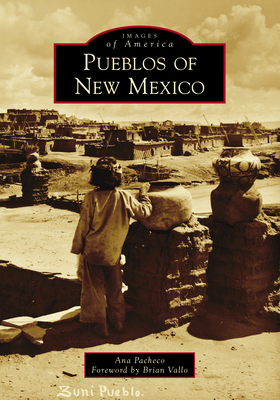 In the ever-changing light of New Mexico's landscape, they photographed the faces of the Pueblo People and helped to document their ancient, unimaginable world. They became witness to millennia of history. New Mexico's first inhabitants are believed to have descended from the Anasazi, the largely nomadic group that settled along the Colorado Plateau around 200 AD. Most likely, drought conditions brought the population centers of the Anasazi villages located in the Four Corners of Colorado, Utah, Arizona, and New Mexico to settle along the Rio Grande Valley of New Mexico and the Mogollon Rim of Arizona in 1300 AD.